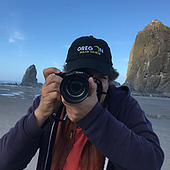 A newsletter with Jefferson Graham's latest #Photowalk videos and photos, musings and perhaps a podcast or two. I want this incredible trip! We take the majesty and beauty of the West for granted. Would we endure the kind of ambitious, exhausting but highly memorable trip that Klaus and Iris are on right now? Probably not. Best just to dream. More on that in a minute. I met the fellow photographer Klaus Hellmich on YouTube. 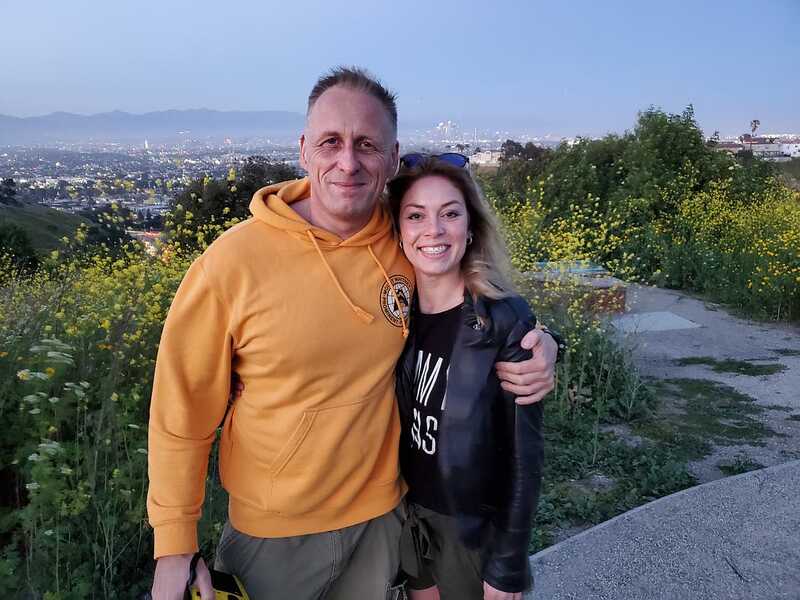 He was coming to the U.S. for a visit, and had watched my Griffith Observatory #Photowalk video back home in Germany. He wanted more specifics about which trail to take to get that magic shot. We started talking. He really wanted that classic L.A. skyline for his first view after landing. 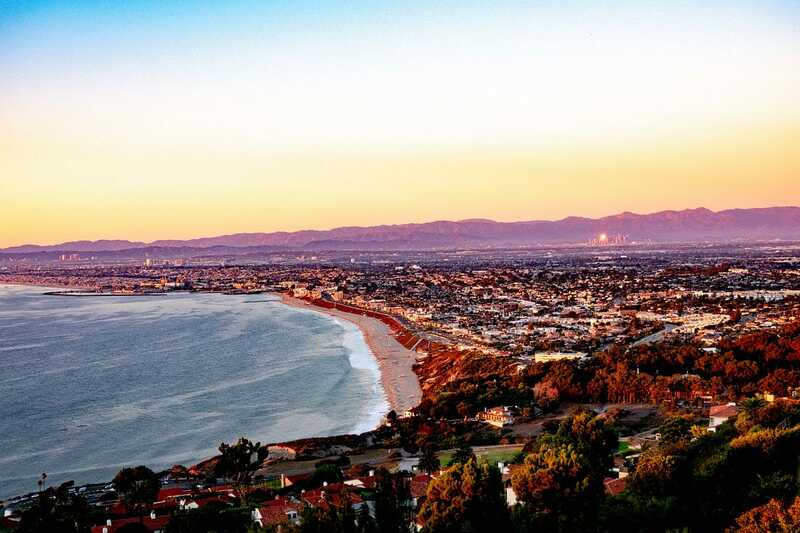 That’s best viewed from Kenneth Hahn State Park or Baldwin Hills Scenic Overlook. He also really wanted to get the scenic overlook from Palos Verdes, which frankly, as cool as the two L.A. overlooks are, trumps both of them, IMHO. We couldn’t do both, and I lobbied for PV, but he settled on Baldwin Hills. 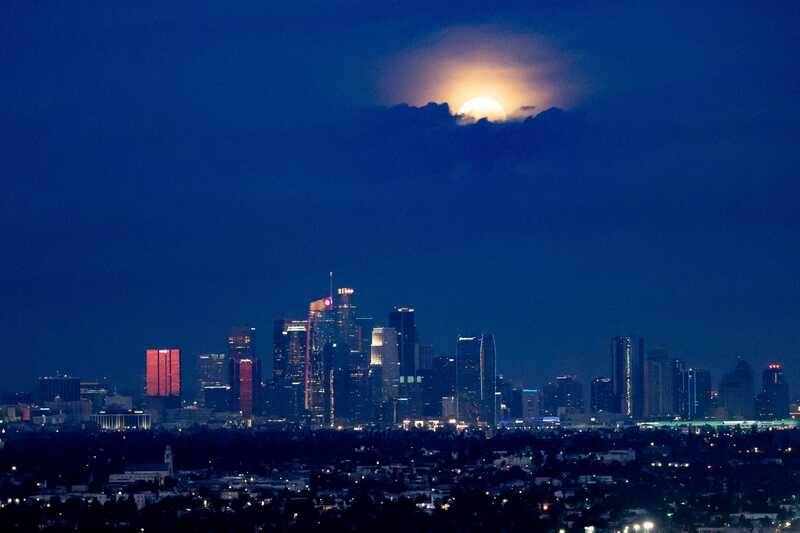 Baldwin does offer the best view of downtown L.A., but only once the sun sets and the DTLA lights go on. And Kenny Hahn is a wintertime, snow day thrill. After it rains, the wildflowers grow into your view and get in the way! 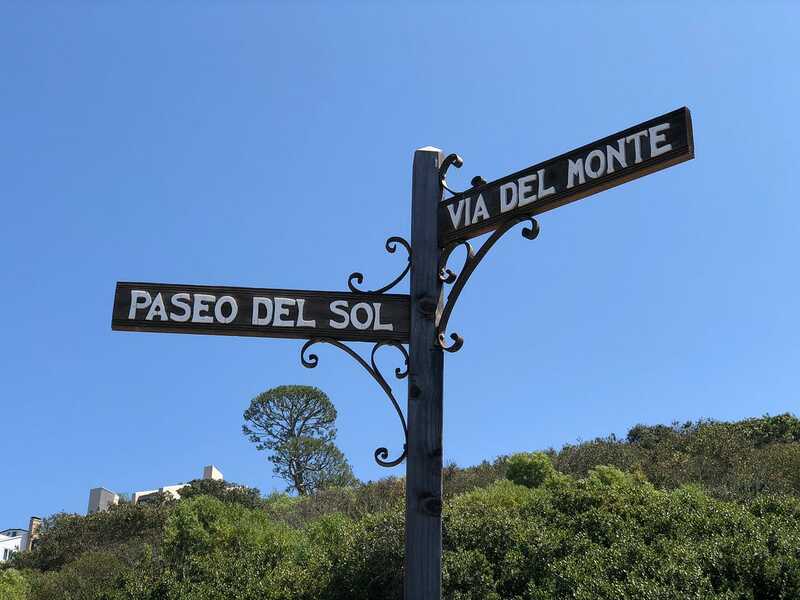 The above PV shot is directly across the street from this street sign, Paseo Del Sol and Via Del Monte. Thanks Klaus and Iris for coming to visit and letting me show you around! But more on that trip. Klaus and Iris are set for the sort of excursion that no one who reads this newsletter and lives in the United States would probably ever tackle. It’s that ambitious. From Hermosa to Las Vegas, Monument Valley (6 hour drive), Salt Lake City’s Bonneville Flats (8 hours), Rachel, Nevada (near Area 51, another 6 hours) Death Valley National Park (only 3 hours away), Mammoth Lakes (2.5 hours), Pismo Beach (6 hours) and then back to L.A. (only 3.5 hours) for two nights on the end of this incredible adventure. Klaus, did I miss anything? I’d like to say that this would be like us going to Germany and going to Berlin, Bonn, Dresden, Frankfurt, Munich and Hamburg in a week, but it wouldn’t. It only takes about 6 hours to drive from one side of the country to the other, from what I’m told. And on the Autobahn, where there are no speed limits! 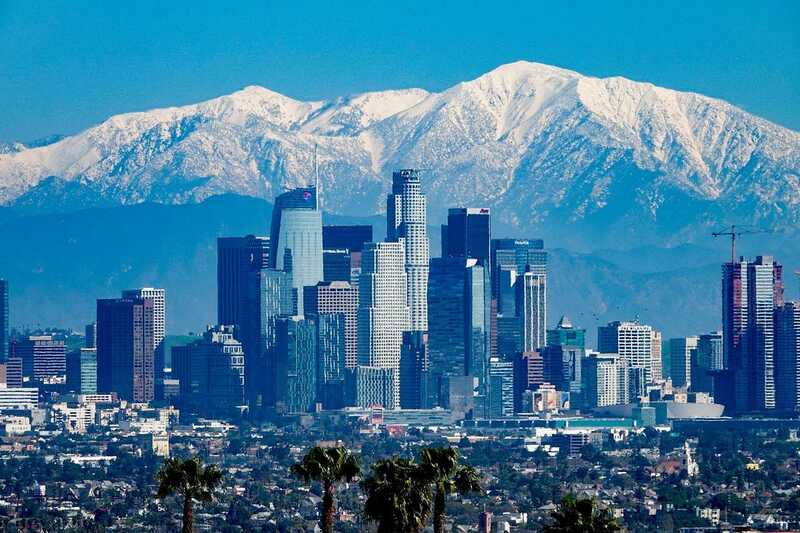 But OK vacationers, imagine our trip in the West—L.A. to San Francisco, and then throw in some Mendocino, Portland, Seattle and Denver by car, in a week or so. We don’t put in the time when we go away, but if we did, we’d sure see a lot, right? I’m with Klaus! As you read this, my gear is packed, and I’m headed to Madrid, landing soon. The next time you hear from me, there will be very non-beach photos attached! Meanwhile, you can catch up with Klaus on his Instagram feed, where he’s giving a daily account of his Western tour, and below watch Klaus and I talking about his big trip, and why we do what we do. A few weeks ago I tested out the Roav Viva, a $50 device from Anker that brought Alexa into the car. It worked pretty flawlessly. But what about Google? How do we get the Google Assistant to the car? Now there’s a Roav Viva for that, but sorry folks, it has some kinks that make it not ready for primetime. I tell about it on today’s show. Later in the week you’ll hear from my pals filling in for me as guest hosts: Rich DeMuro, Christine Blackburn and Shannah Compton Game for this week, and Tim Bajarin and Melissa Kirsch are coming up in early May. Plus you’ll hear some familiar USA TODAY voices while I’m gone as well. So stay tuned. If you enjoyed today’s newsletter please click the HEART button or click REPLY and let me know! I’ll see your notification in Madrid, probably while enjoying a bocadillo sandwich. Remember that I’m on YouTube, Instagram, Twitter and Facebook too! Thanks for watching and listening everyone!